Yargelis Savigne is this week’s Track Beauty! The Cuban has been a fixture of elite-level women’s triple jumping for the past decade. To say that Savigne’s achievements are impressive is an understatement. With three World Championships medals to her name, two of these back-to-back golds, Savigne is undoubtedly one of the big guns in the contemporary athletics circuit. The triple jump features contenders from both ends of the age spectrum. Established stars will be pitted against young and equally talented upstarts. The event will also feature Britain’s top hopes for Olympic glory. The composition of the podium in 2012 will be a lot different from that four years ago. The old guard had passed the baton to the new. The top contenders for the Olympic title feature three athletes. Cuba’s Yargelis Savigne, twice World champion, holds the most experience. Then there’s Olga Rypakova Ольга Сергеевна Рыпакова, the Asian record holder and the 2010 World indoor champion. Ukraine’s Olha Saladuha (Ольга Саладуха), as the reigning World champion from Daegu, has the momentum and psychological advantage of being the current outdoor titlist. Colombia’s Caterine Ibargüen streaked to a world-leading mark of 14.95m last April, albeit at altitude. Yamilé Aldama, the 39-year old Cuban-born Briton, is the oldest amongst the field and is the most experienced. Aldama (15.29m, 2003), Savigne (15.28m, 2007), and Rypakova (15.25m, 2010) are all members of the elite 15 meter club – and are perched high up the all-time list. Ibarguen (14.99A, 2011) and Saladuha (14.98m, 2011) are mere centimeters from breaking the coveted barrier. Taking into account the recency and quality of personal bests, Ibarguen heads the cast. But then again, she has limited experience in the world’s highest stage. Considering the depth of the field, seeing multiple athletes go beyond 15 meters seem plausible. It’s one thing to perform well at a minor competition, and another to display excellence at the summit of sport. The resurgent Aldama, fresh from winning the World indoor title in Istanbul, might not possess the spring in her legs to compete head-to-head with an in-form Savigne, Rypakova and Saladuha. Saladuha (14.75m) holds a small, 2cm lead over Rypakova (14.73m) in the 2012 top list. Savigne (14.35m), however, is not even in the top five this year. Despite her advanced age, Aldama (14.65m), might still have a few tricks under her sleeve. With these facts in mind, Rypakova is my bet to win Olympic gold. The Kazakh is capable of making big jumps, and had done so at a considerably recent time (Doha World Indoors). Once she gets her rhythm going, Rypakova could triumph over the classy field. The 34-year old Phillips Idowu, the 2008 Beijing Olympics silver medalist, would be pitted against the young troika of Teddy Tamgho, Christian Taylor, and Will Claye. Tamgho, the World indoor record holder, is high up the outdoor all-time list with a best mark of 17.98m. Christian Taylor is two centimeters behind the Frenchman, with his 17.96m best from Daegu last year. Idowu’s lifetime best of 17.81m, however, is superior to Claye’s 17.50m. But then again, the other half of the American triple jumping duo had hopped, stepped and skipped 17.70m this year, en route to winning the World Indoor title in Istanbul. Note: Tamgho has ended his 2012 season – and his Olympic campaign – due to an ankle injury. The other contenders for a spot on the podium are the Cuban trio of Alexis Copello, Arnie David Giralt, and Yoandri Betanzos. The defending Olympic champion, Portugal’s Nelson Évora, has discovered some semblance of his old form, as he placed fifth (17.35m) in Daegu. 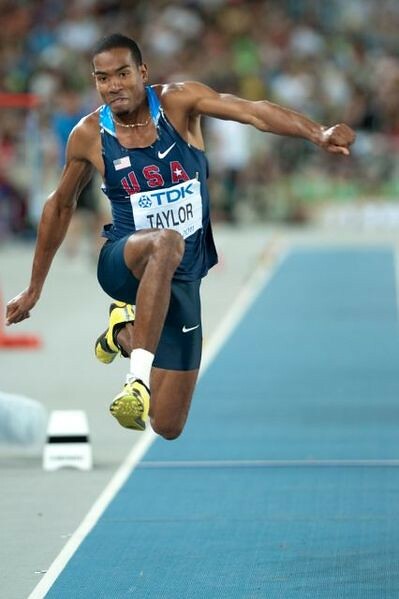 Taylor is the 2012 world leader with 17.62m from the Prefontaine Classic in Eugene. Russia’s Lyukman Adams Люкман Адамс (17.53m)and Cuba’s Osviel Hernández (17.49m) round up the next two spots, followed by Claye (17.48m). Idowu has a season’s best of 17.31m. Idowu is my pick for the triple jump gold, due to the considerable depth of his experience. He is in peak form and has shown marked consistency. 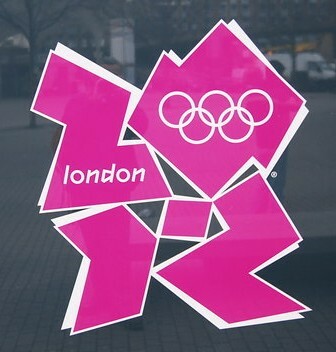 The 2009 World champion grew up in Hackney, one of the host boroughs of the London Olympics. To compete in one’s own backyard could give Idowu the decisive boost to complete the only major title missing from his collection. The competition has the makings of a classic, with two near-18 meter jumpers figuring in the clash. Tamgho, however, had just emerged from a six-month lay-off after reportedly brawling with a female athlete. It remains to be seen how this incident has affected the Frenchman’s focus and preparations. 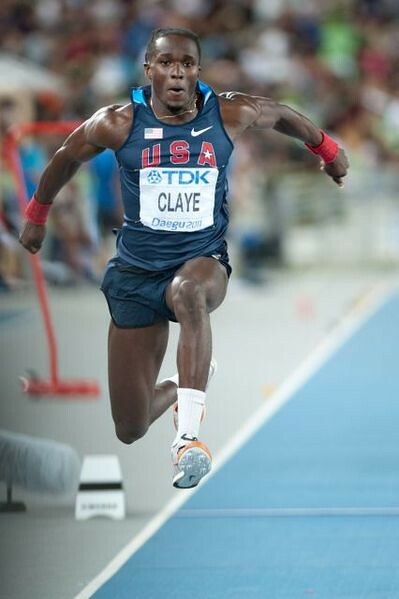 Taylor and Claye, are relatively new at the international championship level. But then again, their youthful zest – and considerably impressive stat sheet (especially Taylor’s) – are potent combinations. Who can ever forget the golden haul of the Swedish Big Three at the Athens Olympics? Stefan Holm, Carolina Klüft and Christian Olsson were role models, and were well-loved by the fans. I found it astounding how a country of nine million could win three athletics gold medals in a single Olympic Games. Since then, Holm had retired and Kluft had shifted to another event. Olsson, however, has been bedevilled by injury ever since the Athens Olympics. From a 17.79m outdoor personal best in 2004, en route to his Olympic gold, Olsson’s performance suffered. Although he won European Championship gold in front of his home crowd in Goteborg, he could not seem to regain his top form. 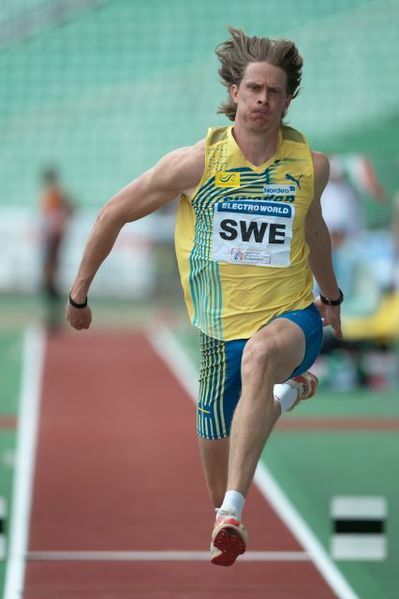 The Swede, being the true champion that he is, fought his way to a hard earned 4th place finish at the 2010 World Indoor Championships (17.23m). A year later, Olsson placed 5th at the European Indoor Championships in Paris (17.20m). The Athens Olympic Champion returned to the World Championships in Daegu, eight years after winning his first world title in Paris. Olsson posted a best mark of 17.23m, good enough for sixth place over-all. Despite the rise of the new generation of triple jumpers, I’ve always rooted for Olsson. I never stopped hoping for a miracle performance for the Great Swede. I cheered for the guy as he went against the new titans of the triple jump. He has suffered enough. Olsson deserves a heartwarming comeback story. But fairy tale endings, more often than not, are hard to come by. After suffering yet another injury in a training camp in the U.S. , Olsson decided to hang up his spikes. Even if I never competed as triple jumper – even if I live thousands of miles away from Sweden – Olsson will always be an inspiration. His intensity and tenacity were infectious. To Christian Olsson, thank you! Linda Allen is this week’s track beauty! Allen’s resume is dazzling. The Australian is a two time national triple jump champion. She placed 8th at the 2006 World Junior Championships and has represented Australia in high-level international meets like the 2006 World Cup in Athens and, most recently, the 2011 World University Games in Shenzen. The 24-year old is also an entrepreneur, having established eleven fitness studios despite her young age. Allen also models on the side and even participated at the 2011 Miss Universe Australia beauty pageant. In 2000, the then 13-year old hopped, stepped and skipped her way to national consciousness as she won her the Australian U14 title (11.25m). She missed out on the U16 gold a year later, but redeemed herself with a high quality 11.85m mark in 2002. Two years after topping the Australian juniors, Allen had a breakout year in 2006 as she registered an impressive 13.36m to clinch an Australian Open National title. The prodigious triple jumper-slash-entrepreneur-slash-model has a personal best of 13.82m set on May this year. With barely a year to go before London, attaining the Olympic “B” standard is almost close to fruition. Here’s a well-made ad about the newly-minted European Indoor Triple Jump Champion Simona La Mantia of Italy. French triple jump sensation Teddy Tamgho rewrote his 11-month old world indoor record yesterday in Aubiere. The 21-year old leaped 17.91m in the 4th round, improving his old mark by 1 cm. Tamgho, now trained by long jumping legend Ivan Pedroso, hardly had any competition at the French National Indoor Championships. Yoann Rapinier won 2nd with 17.02m, the first time he went beyond the 17m barrier. Tamgho worst mark, a 17.08m in his fifth attempt, was still good enough for first place. The Frenchman powered through the runway, as he hopped, stepped and skipped to a new world indoor best. As soon as he landed on the pit, Tamgho knew something big was afoot. With nary a look to confirm the official distance, Tamgho immediately sprinted from the jumping area in celebration, out of the track and into the stands. Paraskevi Papachristou (Voula Papachristou Παρασκευή Παπαχρήστου) is this week’s Track Beauty! The 21-year old triple jumper is the upcoming Greek ace in the event, the heir apparent to double Olympic medalist Chrysopigi Devetzi Χρυσοπηγή Δεβετζή. As a junior, Papahristou once got bronze at the 2008 World Junior Championships in Beijing. 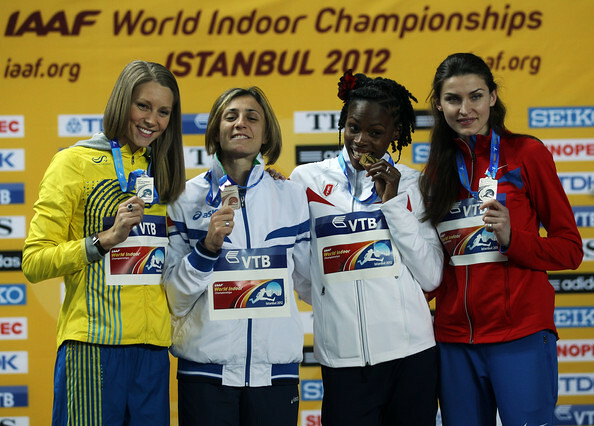 A year later, she set a personal best at the European Indoor Championships, leaping 14.47m to qualify for the finals. 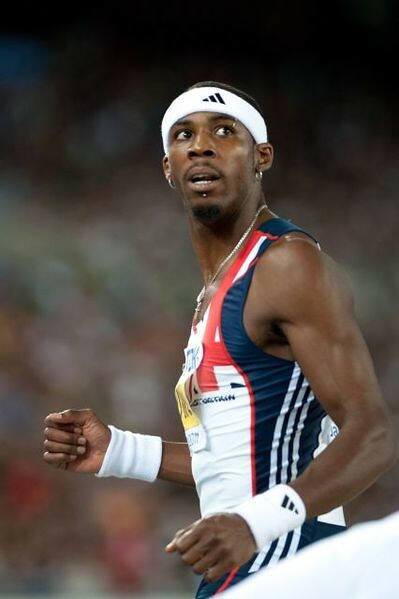 As a 20-year old, the statuesque triple jumper won gold at the 2009 European U-23 Championships. In a stunning display of talent, Papahristou needed only one jump to register the competition-ending mark. She leaped 14.35m in the first round. However, Papahristou wasn’t able to build upon her 2009 momentum. Her 2010 season was forgettable, notching season’s best jumps of 13.85m (outdoors) and 13.94m (indoors), way below her standards. The Greek defended her European U-23 crown in Ostrava, notching a 14.40m mark in her very first leap in the final. Papachristou made only two valid jumps (1st and 4th). She fouled in the 2nd and 3rd rounds, and opted not to take her last two attempts, with the gold medal in the bag. Paraskevi was so dominant that her 4th round leap of 13.98m was still good enough for first place. The Greek was the only jumper who went beyond fourteen meters. Jonathan Edwards’ 18.29m triple jump leap is one of my favorite world records of all time. I love how triple jumpers hop, step and skip towards great lengths. The event exudes a combination of athleticism, technical prowess and grace much like the 110m high hurdles. Seeing the world’s elite leap great distances is a sight to behold. I get goosebumps every time I watch Edwards’ world record. With a personal best of 10.48s in the 100m dash, Edwards powers down the runway faster than most triple jumpers. He seems to mimic the movements of a gazelle as he takes three massive steps to track & field history. 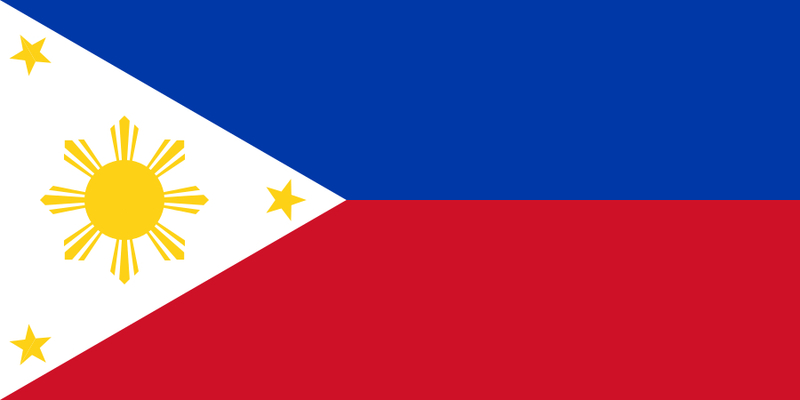 It has been 15 years since the leaped to the gold in the 1995 World Championships in Goteborg. His first attempt was a massive 18.16m, breaking the existing world record. He again rewrote the record books by triple jumping 18.29m. Since then, only the American jumper Kenny Harrison had gone beyond 18m. Heli Koivula-Kruger is this week’s track beauty! Heli Koivula-Kruger is a retired Finnish long and triple jumper. She holds Finland’s triple jump record of 14.39m which she set in 2003. At the world stage, Koivula-Kruger won a Long Jump silver at the 1994 World Junior Championships and another silver, this time in the Triple Jump during the 2002 European Championships. From 1997 to 2002, the Finn improved her PB in the hop, step and skip from 13.92m to 14.39m. In 2001, Koivula-Krueger barged into the top eight of the Edmonton World Championships, matching her then personal best of 14.28m. Heli’s seventh place in the biennial meet was her best finish in the Worlds. Fast-forward to 3:31 to see Koivula-Kruger’s jump. She was unable to replicate her wind-aided 14.83m set on the 2002 European Championships. Koivula-Kruger retired from competitive athletics soon after the 2004 Athens Olympics. In an international career spanning more than a decade, the popular Finn competed in two editions of the Olympic Games. French athletics is in tip-top shape, with youngsters Renaud Lavillenie, Teddy Tamgho and Christophe Lemaitre leading the way. Lavillenie, still only 23, had won a World Championships Bronze in Berlin. 19-year old’s Lemaitre and Tamgho are both World Junior Champions, with the latter shattering Christian Olsson’s World Record in the World Indoor Champs in Doha last March. With the decline of 2005 World Champion, Ladji Doucoure, it’s good to see other French athletes taking up the cudgels for the Les Bleus. I’m particularly excited for Lemaitre. The 19-year old speedster lowered his personal best in the century dash by one-hundredths of second, sprinting to 10.03s at the French National Club Championships. Aside from Frankie Fredericks and Patrick Johnson, only athletes of West African descent have broken the 10 second barrier. The great Pietro Mennea and Matt Shirvington both timed almost 10 seconds flat, while Robson de Silva, Koji Ito and Marian Woronin stopped the clock at exactly 10.00s. It’s about time someone from the non-traditional sprinting powers to break that barrier.